The way we’re going about making circuits has been rapidly changing in the past few years, and it’s largely thanks to conductive inks. These ultra-thin, ultra-lightweight inks can be inserted into thin objects or even printed on paper, totally eliminating the need for bulky framework. Circuit Scribe started out as a Kickstarter project and is now available via retail outlets, and it’s spent the past couple of years proving just how awesome it is. The concept behind Circuit Scribe is easy even for non-technical folks to understand. 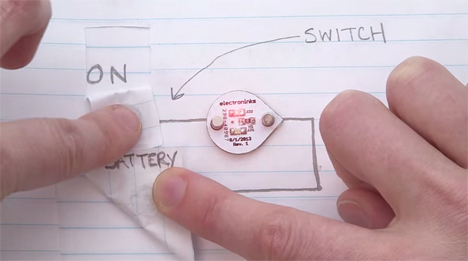 Instead of wires, soldering, and a lot of specialized knowledge, you can draw circuits on paper with the non-toxic, water-based ink. 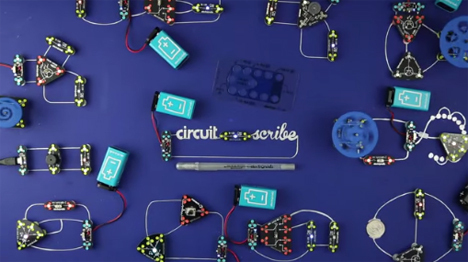 Circuit Scribe sells modules that you can snap onto your creations with magnets to make working lights, sound modules and even a small motor. Although you can use it to make some pretty rad toys and gifts, the Circuit Scribe is important on an even larger scale. It’s among the first generation of similar products that allow anyone to make electronics without a whole lot of prior knowledge. The process of using Circuit Scribe to make things actually leads to the learning (rather than the learning leading to the making) which is a fun, engaging type of education. As far as functionality goes, the Circuit Scribe system is far easier to use than some of its competitors which are bulkier and can take hours to dry. The Circuit Scribe pen lets you draw and then immediately use your drawing to make something fun. People who are interested in electronics and engineering careers will still need to learn traditional methods as well, but conductive ink gives you the kind of instant gratification that just makes you want to keep playing and learning.